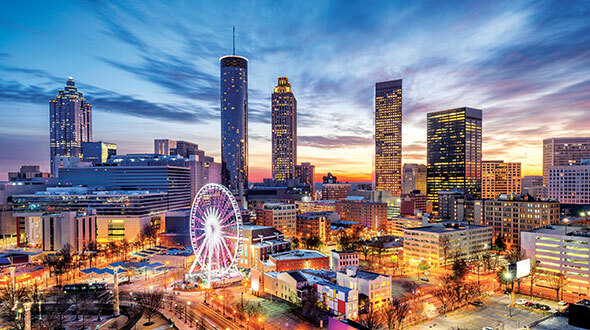 On the final day of the LP Gas Growth Summit, four propane retailers from different corners of the country came together to discuss the challenges facing the industry. The panelists included Arizona-based A&B Propane owner Ricky Hobday; Nicole Sullivan, senior vice president of Virginia-based Anderson Propane Service; Frank Edwards, general manager of Ohio-based Linden’s Propane; and John Weigel, operations manager of California-based Ted Johnson Propane. LP Gas magazine Editor-in-Chief Brian Richesson led the discussion on developing the industry’s offerings for future growth, retailer technology and workforce development. The panel discussion came on the heels of Randy Thompson’s presentation. 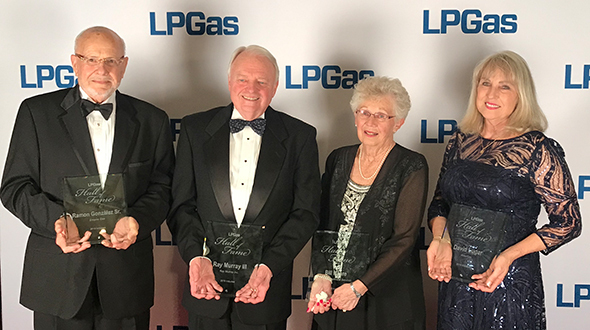 The founder and senior adviser of ThompsonGas outlined his 4-billion-gallon growth challenge for the propane industry. LP Gas asked for thoughts on the challenge and the idea of pursuing growth in the industry. Hobday followed in favor of the challenge, saying aggressive goals like these are important for his work in Arizona’s unique propane market. “It seems that aggressive goals in nontraditional directions – like autogas, generators and such – can grow us across the board and grow market share,” Hobday says. 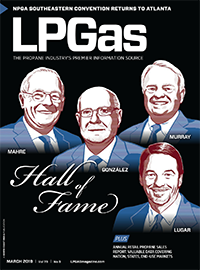 Growing propane’s market share in a competitive energy environment is an important issue for Sullivan. She admits to some decline in total gallons sold throughout the industry, so refraining from evolving is not an option. Rounding out the question was Weigel, who touched on the opportunities propane-powered water heaters can bring to the industry. Water heaters, which are a key avenue to growth in Thompson’s gallon challenge, were a successful venture for Weigel during his work in the early 1990s. While working for Suburban Propane, Weigel sold over 300 water heaters to customers in a small town in Oregon through a leasing program. Weigel would lease water heaters to customers for $19.92. The customers would sign a contract, agreeing they would purchase propane from the retailer for five years. In his presentation, Thompson pointed out potential growth the autogas market can bring to the propane industry. 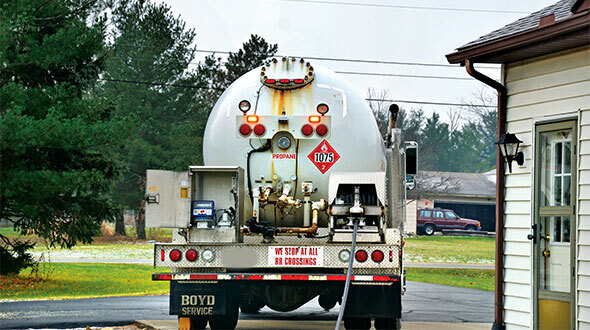 According to Thompson, propane currently powers 6 to 7 percent of the school buses in the United States. 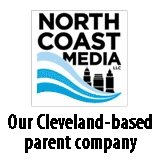 If the propane industry can get that number up to 30 percent, there would be half a billion to three-quarters of a billion gallons of growth. To follow up on this point, LP Gas asked panelists what avenues to growth they see, and many agreed autogas will play a major role. Weigel touched on the transportation laws going into place in California and their effects on the propane industry moving forward. Transportation laws concerning low carbon emitting fuels will quickly spread across the country, he warns. Edwards echoed that autogas is a valuable growth option, but admits some retailers are slow to move into this sector. 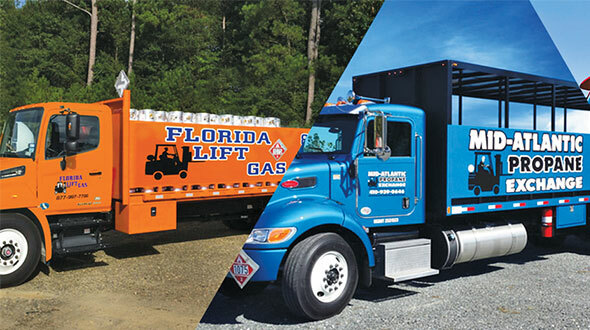 Edwards talks about how the upfront costs of developing an autogas business segment can seem like an uphill battle to some retailers, but the profit potential is there. Technology is continually evolving into an essential tool for retailers looking to improve efficiencies. LP Gas asked panelists the role technology plays in their company’s growth and how technology can improve overall industry growth. Sullivan’s company uses tank monitors and back-office software. She says retailers need to invest in technology to see the positive effect on their business. As someone who doesn’t use much technology but looks to add more, Hobday comes from the other side of the retailer spectrum. Hobday does use technology to help educate customers who may not know much about the propane industry. 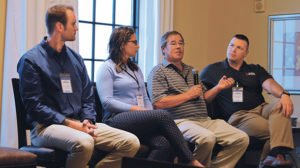 LP Gas asked panel members how their operations are addressing the future of their workforce. Sullivan recalls how a driver reached out to her, asking for a job and saying he only wanted to work in the winter, which Sullivan jokes was like hitting the lottery. Weigel and Edwards touched on similar points, saying they get candidates to fill openings. However, they noted that sometimes these candidates aren’t best suited for the job or company. Edwards, who says he has 12 drivers with a tenure of 29 years, will soon face the issue of losing one to two of those drivers a year. Finding the correct person to fill these roles is a challenge.